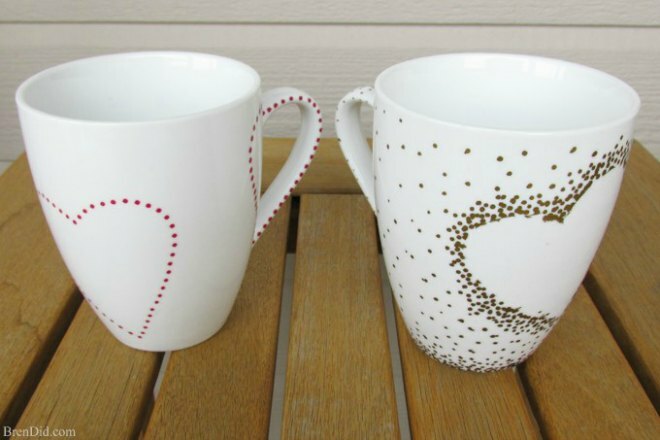 11 of the best Valentine craft ideas you will find on Pinterest. Simple, easy and fun crafts that everyone can make. Kids can have fun with mason jars, tissue paper, printable’s….you name it…it’s here. These crafts are the easiest way to say “I Love You”. As much as I love Pinterest, it can be an absolute time sucker. You think you will enter for just 10 minutes looking for just one thing and the next minute, 2 hours have passed you by. Does it sound familiar? That’s great if you have nothing to do, but I know that’s not the case for you. 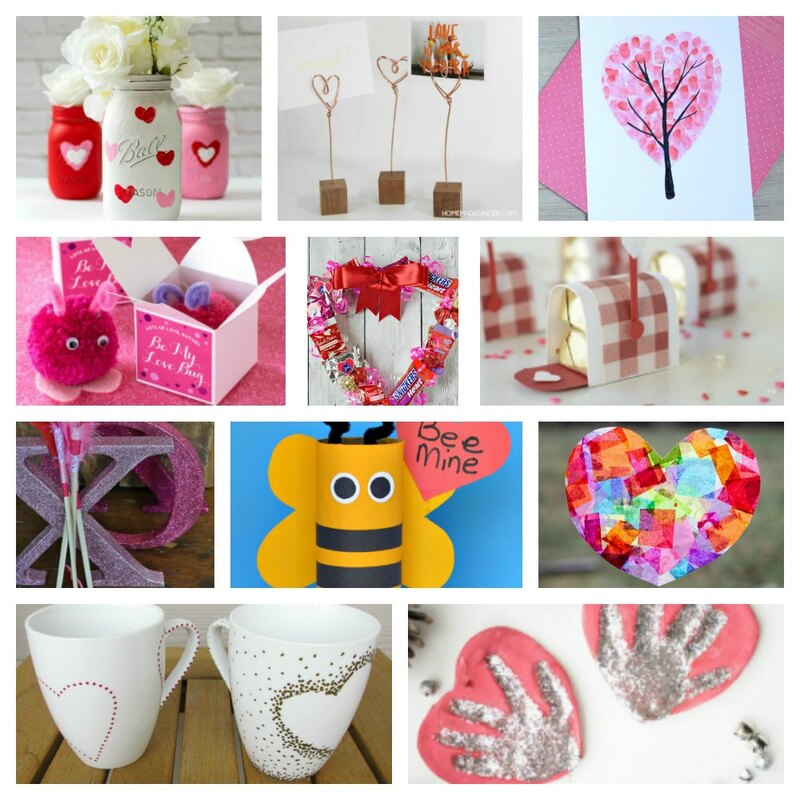 So to solve your urge for crafting this Valentine’s, I have compiled the best ideas from Pinterest for you. Now you have them all in a handy place and instead of using that time searching, you can use the time crafting. So let’s not waste any more time and get stuck right into them. Sharpie Mug Tutorial by Bren Did. Love the idea of undertaking crafts, but think you don’t have the skills? This is the perfect craft for you. With an easy to follow tutorial, you will have this whipped up in no time at all. Pom Pom Love Bugs by Ever Mine. This has to be the cutest Valentine’s craft you are going to find. It’s a little box of pom pom love. 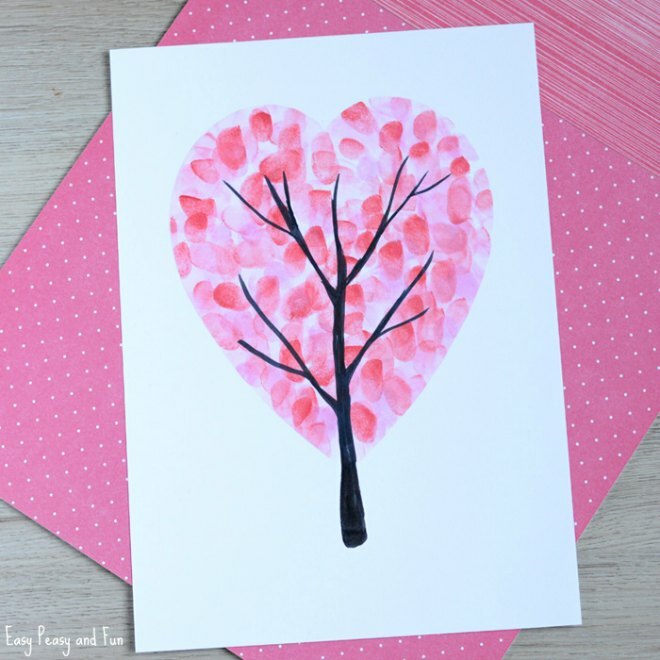 Valentine’s day heart fingerprint tree by Easy Peasy and Fun. Such a gorgeous craft that is ultra personal too. A Valentine’s gift made out of kids finger prints. This will definitely melt the heart. 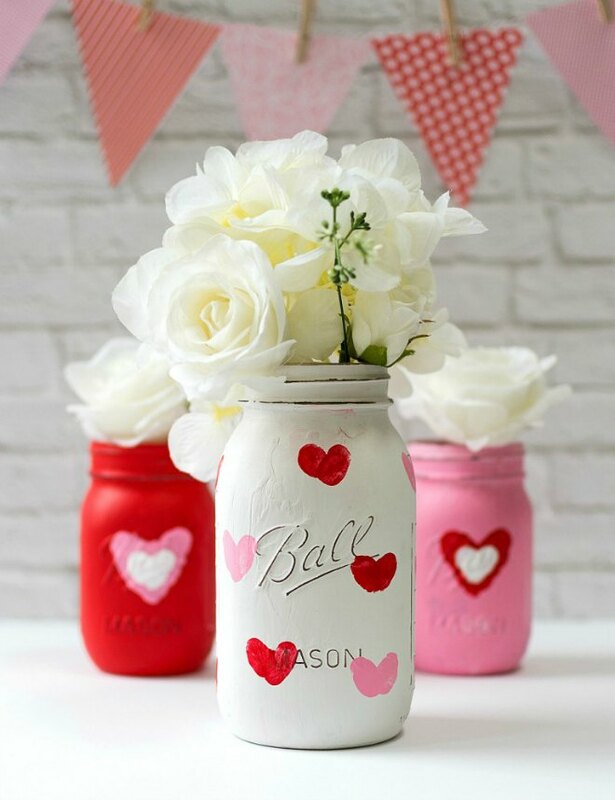 Valentine Kid Craft Thumprint Heart Jars by It All Started With Paint. Another great craft using those little adorable thumbs is to make these adorable jars. 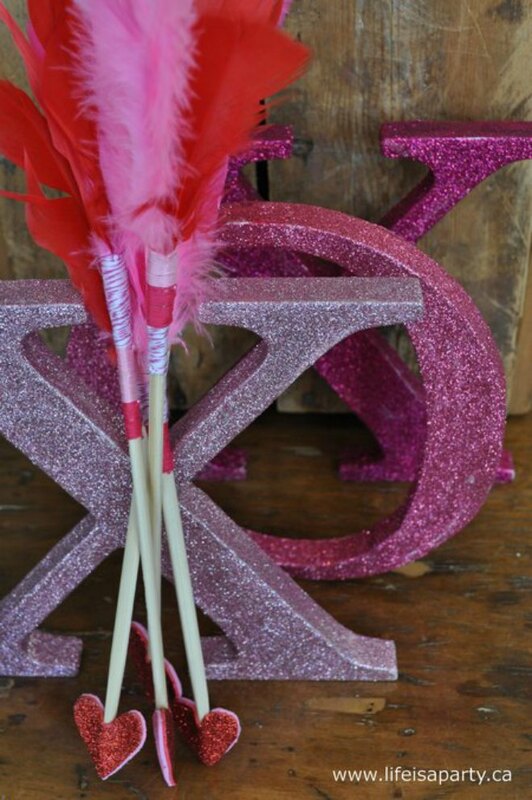 They are perfect to decorate the house around Valentines day. 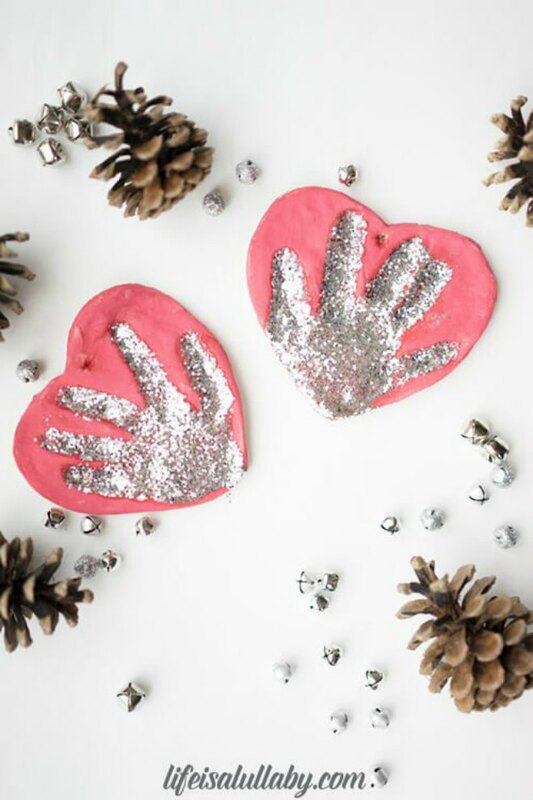 Salt Dough Hand Print Ornament by Life Is A Lullaby. Want to go a bit more than the thumbprint? This whole hand print is super easy to make and will become a treasured keepsake. 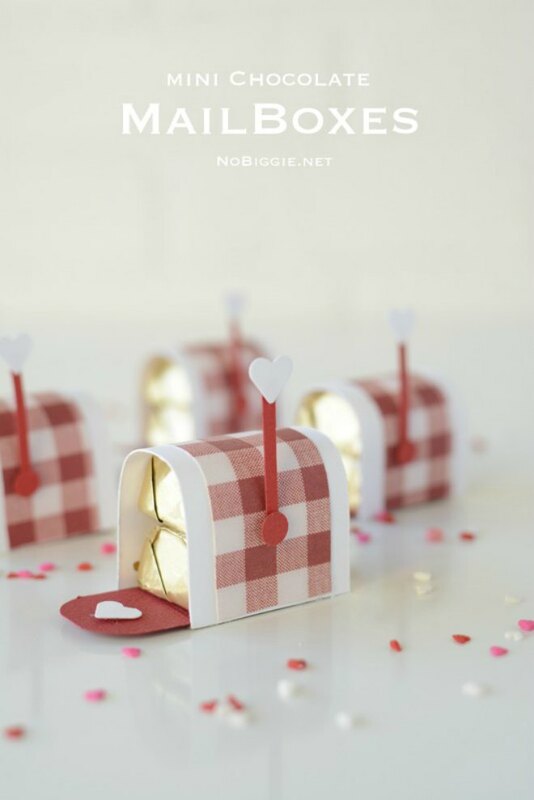 Mini Chocolate Mail Boxes by No Biggie. How adorable are these mini mailboxes. This has to be the cutest way to give a little chocolate gift this year. 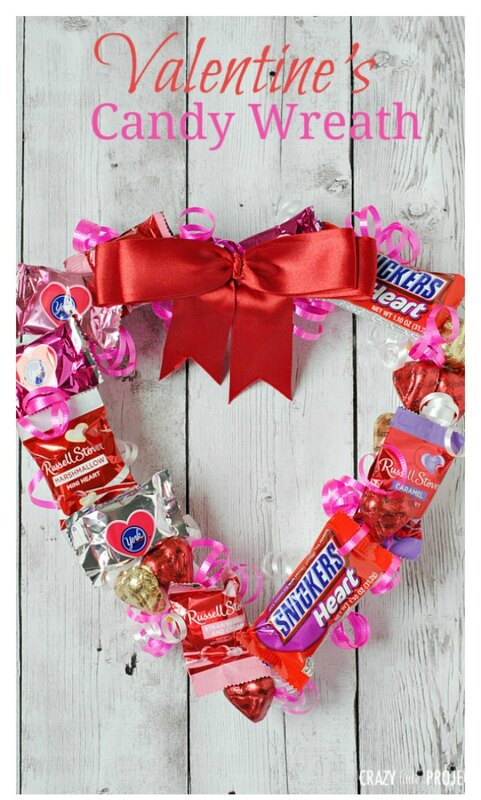 Valentine’s Candy Wreath by Crazy Little Projects. This has to be the ultimate wreath – one you can eat! It’s a fantastic idea for Valentine’s day and is easier to make than you might think. Rainbow Heart Sun Catchers by Fireflies + Mudpies. 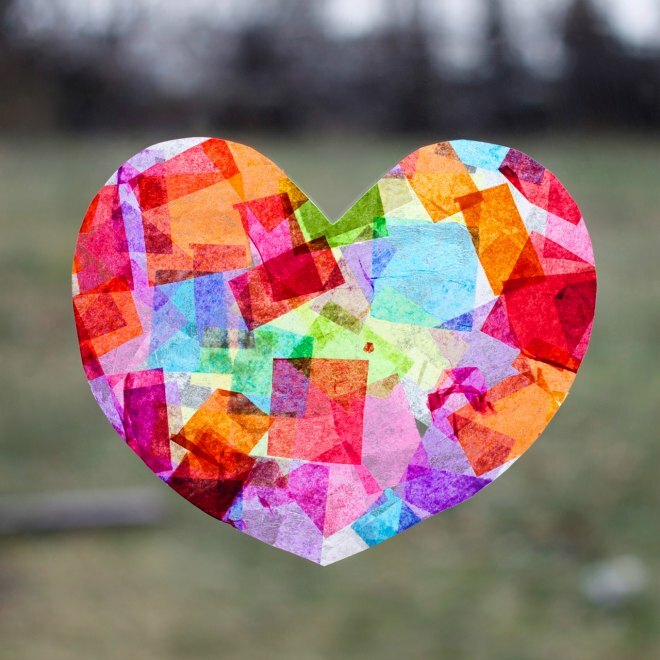 Sun catchers are an awesome way to bring some a ray of sunshine into your Valentine’s. With this easy to follow tutorial, your home could soon be glowing! Cupids Arrow Valentine’s Day Craft by Life Is A Party. Can you have Valentine’s without cupids arrow? Now there is an easy way to make it following this awesome tutorial. 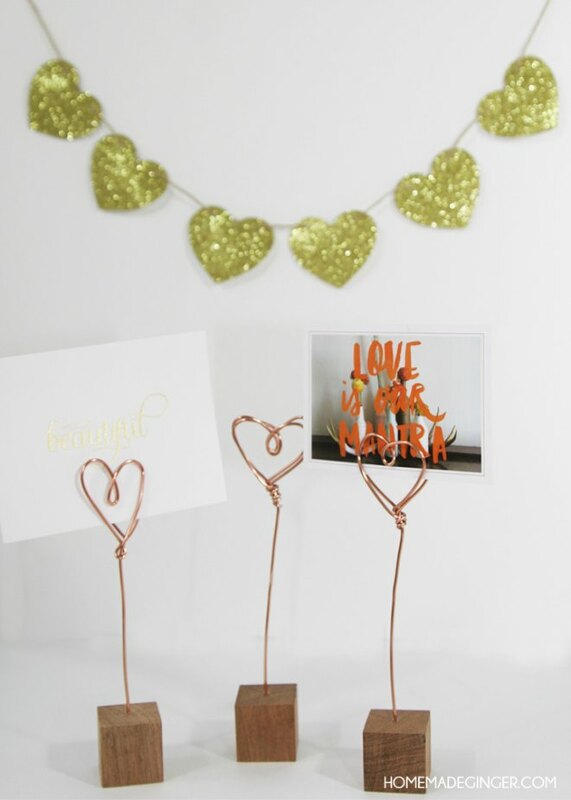 Copper wire photo holders by Homemade Ginger. This is one of those gifts that you can use all year round. They are the prefect way to show off your favorite photos. 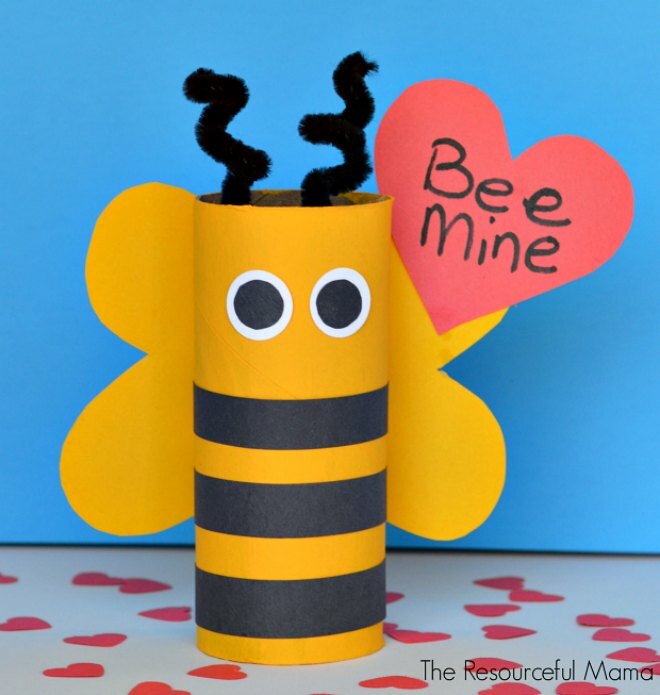 Bee Mine Valentine Day Craft by The Resourceful Mama. “Bee Mine” has to be one of the cutest Valentine’s sayings. So grab a toilet roll and turn it into a super cute craft. This is the best time to get creative, and I hope these Valentine craft ideas have filled you with inspiration. So stop wasting your time on Pinterest and let your creativity run wild. You will make someone very happy and that’s what it’s all about right? 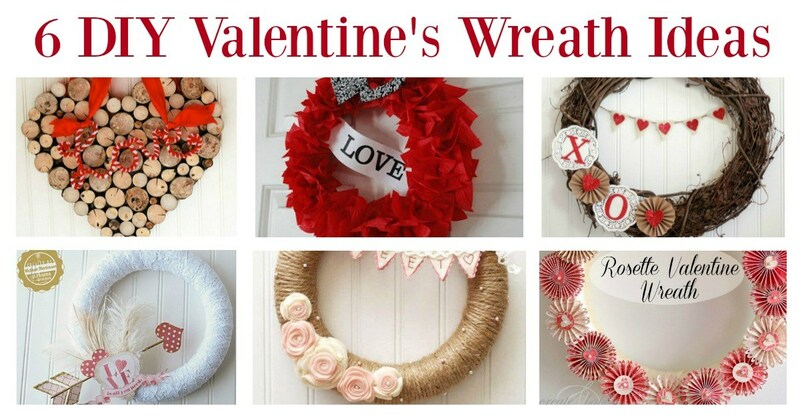 6 Sassy Valentines Wreath Ideas – Need more wreath inspiration? You will find easy tutorials here. 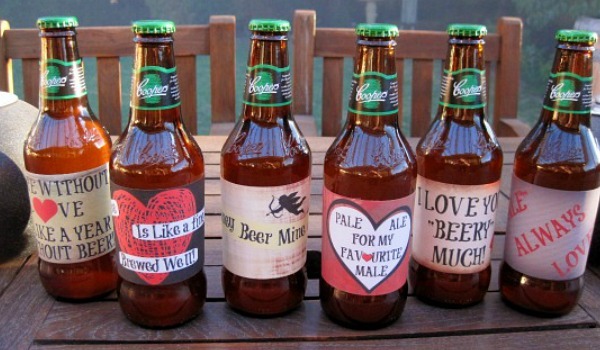 The Valentine’s Day Gift Your Guy Will Actually Want – The easiest and the most loved craft idea for the guys. Of course it includes beer! 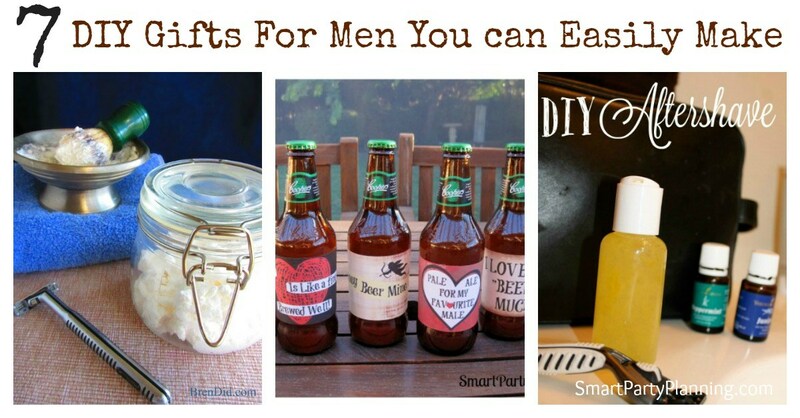 7 DIY Gifts For Men You Can Easily Make – Need more inspiration for the guys. We have you covered. Love the easy craft ideas? Sign up to our newsletter below and never miss a craft, recipe or printable idea.